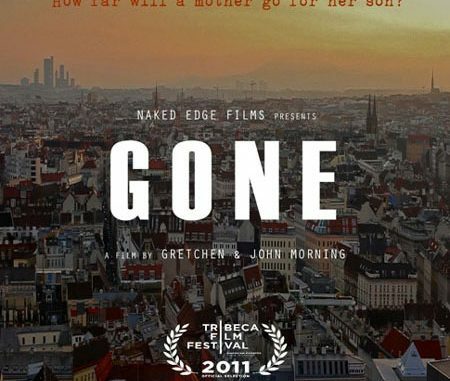 Gone – The Disappearance of Aeryn Gillern is a documentary about a young American in Vienna who vanished without a trace. The story follows his mother’s single handed determination to find him. It recently had a showing at The Tribeca Film Festival. Aeryn Gillern had everything going for him. Great job with the UN Industrial Development Organization in Vienna, a wonderful partner and great friends. But on October 29th, 2007 Aeryn visited a popular gay sauna in Vienna, Kaiserbrundl men’s sauna. He checked in, but never checked out. He disappeared into thin air, leaving behind his clothing and belongings. Aeryn’s mother, Kathy Gilleran, is a former Ithaca policewoman. With her 20 years of experience on the force, she used everything she had to find her son. Kathy would later discover that on the night Aeryn disappeared from the spa, a fight broke out among a group of tourists at about 10 PM. As mentioned his clothes and personal items were left behind. But Aeryn vanished. Did he walk out of the sauna totally naked? In an interesting twist, a video camera belonging to the sauna has also disappeared. Kathy Gilloren talks directly and emotionally to the camera. This is one heartbreaking documentary, but an important one. This is a story needed to be told. To learn more about this case and documentary go to their Official Website and their Facebook page.